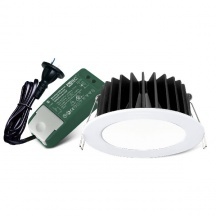 Sunny Lighting SAL S9041TC Ecogem white dimmable premium quality led downlight. Can be set to warm white, cool white or daylight by a switch on the back. IP44 weatherproof. Complete with dimmable driver, plug and lead. 90 degree lighting angle. 92mm cut out. CBUS compatible. 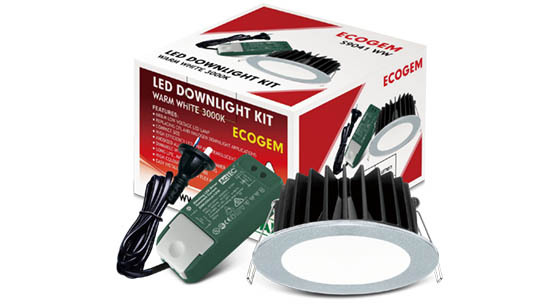 10 Watt 800 - 900 lumen output. For orders of 100 or more please email with the town we are shipping them to for a great price. 3 year warranty. Trailing edge dimmer compatable.